If you thrive on self satisfaction, this is the job for you. Among all the aggravations and pitfalls you'll encounter during your career, you'll experience countless opportunities to affect the lives of countless people in so many positive ways. If you decide to become a police officer now, that decision will actually save lives in the future. You'll know when you save a life by the overt action you take. You'll never know how many lives you've saved by just simply being there. Exactly. I applied two days ago. I want to make a difference. I do not care how long it takes. 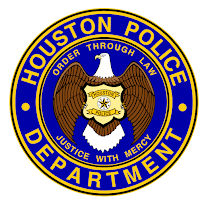 I will one day wear the HPD badge of courage. Best blog on the planet. 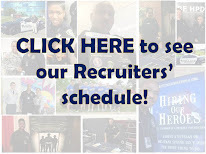 HPD is the best PD on the planet. One day I will be there also! Hey Mike, That lady officer in the front is no longer an Officer. She is now my favorite Sergeant! Way to go Sergeant R.